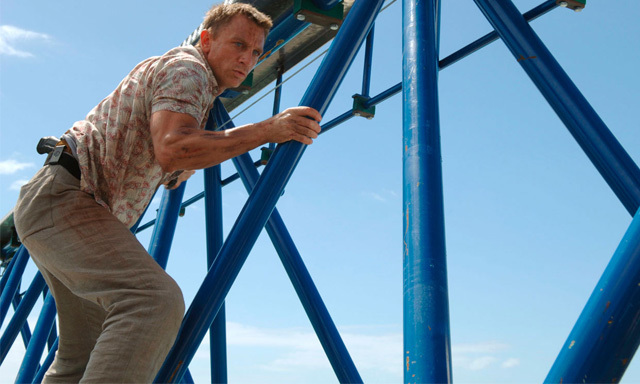 More plot details are emerging about Daniel Craig's final outing as 007. Cary Joji Fukunaga signed on to direct 'Bond 25', the latest installment in the long-running spy franchise, two months ago. He replaced Danny Boyle (whose reasons for quitting remain ambiguous) and is currently re-writing his script. Since the script is incomplete, Fukunaga was hesitant to reveal much. However, he did say that the story which began with Daniel Craig's Bond in 'Casino Royle' back in 2006 will be brought full circle. Fukunaga also shot down rumours that the film won’t feature Q (Ben Whishaw) or Blofeld (Christoph Waltz). However, he also didn't say that they would be returning. Fukanaga is best-known for 'Beasts of No Nation' and the first season of HBO series 'True Detective'. He was also behind the Netflix miniseries 'Maniac' starring Emma Stone and Jonah Hill. 'Bond 25' is scheduled to open on 14 February 2020.